I popped over the hill on the way home from the Cutting Place, to see a string of cows and calves coming down the fenceline, moving in that peculiar gait which only cows can do, a sort of cross-threaded running trot which always makes you think they are going to fall in a tangle on their face. They never do. 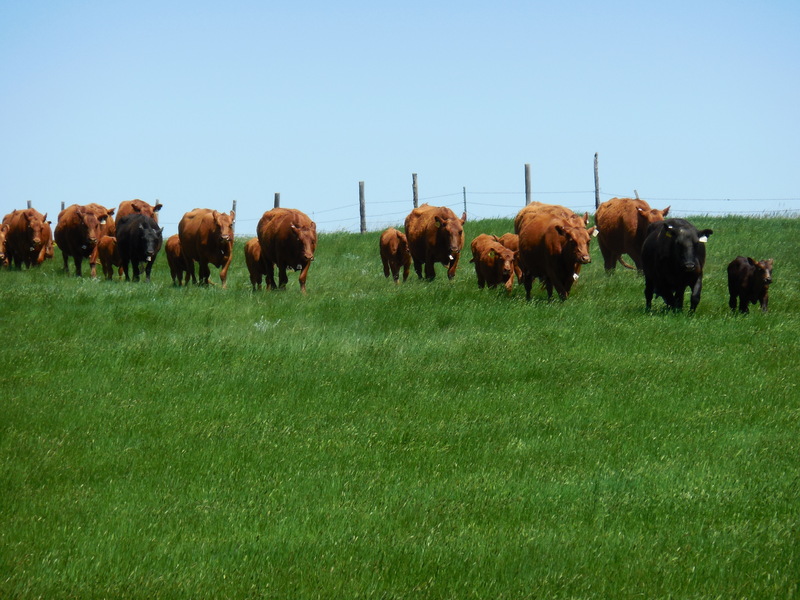 I stopped the pickup, not wanting to spook them as they funneled into the open gate right by the road, which took them into the next pasture, their glossy red coats shining in the sun, their soggy calves dancing at their heels. As I waited, two riders came up behind the last stragglers, ooching them along as the cows swung their heads around to bawl for their offspring. And I saw the one in the red shirt was a woman. Totally at ease on horseback. “Hi!” she called, raising a gloved hand to wave. She checked the cows one more time to make sure they were all past the gate, then trotted over towards the pickup. I jumped out and waded across the ditch through the knee high crested wheat. 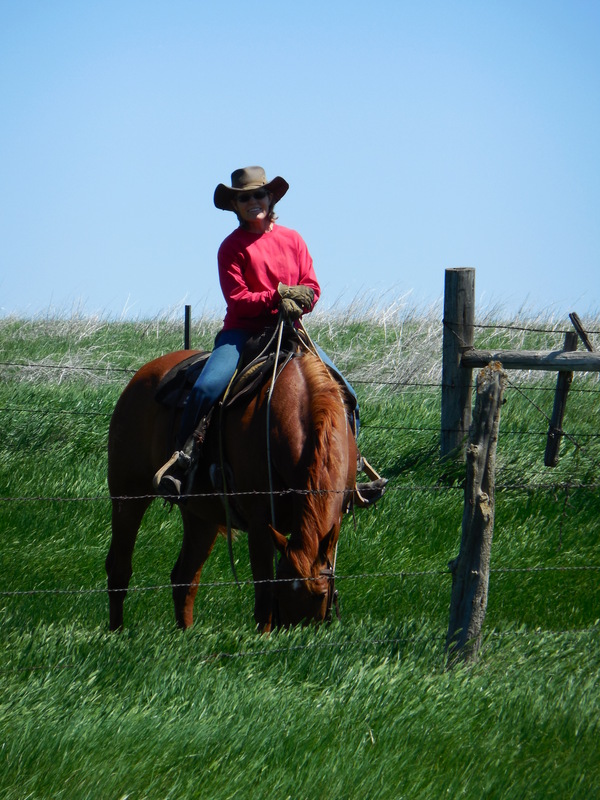 Her bright eyes sparkled as we talked across the fence, as ranchers have done since barbed wire, while both horses dropped their heads to tear off great mouthfuls of green grass. She laughed, rubbing her horse’s ears. “This one is Red. We traded him from Joe Morin.” A quick pain shot through my heart. Joe had been an old master horseman who’d recently passed away, a friend to everyone in the country. “And who’s this?” I asked, pointing to Jay’s horse who was busily grabbing every bite she could get, while ignoring us. I reached over to slide my palm down her neck as Jay pulled her head up. Scratching around her ears and down her face, I felt the warmth of her skin and breathed in her wonderful horsey smell, the scent I’d grown up with and still missed. Thanking God each moment for this unexpected gift. A horse to visit by the side of the road, on a beautiful day in June. 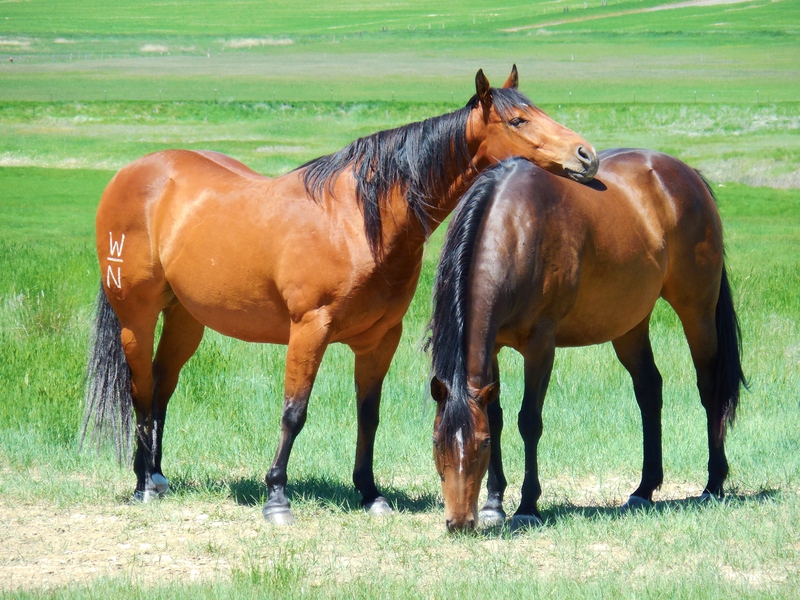 Nearly every time I drive to town, two horses stand in the pasture west of Wilmer’s house. A bay and a butterscotch dun. The last of his bunch. Sometimes they’re close to the road, snoozing in perfect contentment under the summer sun, at others they are down in the dike a quarter of a mile away, drifting a hundred yards or more apart while grazing the sweet new grass, but still always together. Quality shows in their every line. Like Thoroughbreds who are bred for racing, these horses were made for cows. The strong canon bones, the short straight back, the muscled hind quarters designed for quick turns, fast stops, and strength while holding a rope with a cow on the end. From the first dappled gray mare, Wilmer picked the best. Registered stock only. I’ve watched these two now while his health has slowly eroded, taking him away from halter breaking the colts, currying the yearlings and teaching them to pick up their feet, sending the two year olds out to saddle, selling good prospects to riders who still drag calves to the fire. Now he is confined to the nursing home, where he no longer knows or sees his beautiful horses, where no one can even tell him about them, for he cannot understand. It is a sorrow to us all. I braked to a stop yesterday on the way home from the field, a glorious day in June, seeing them standing right by the fence, tossing their heads up and down as they tried to dislodge the first early flies, stamping occasionally to knock one off of their belly. 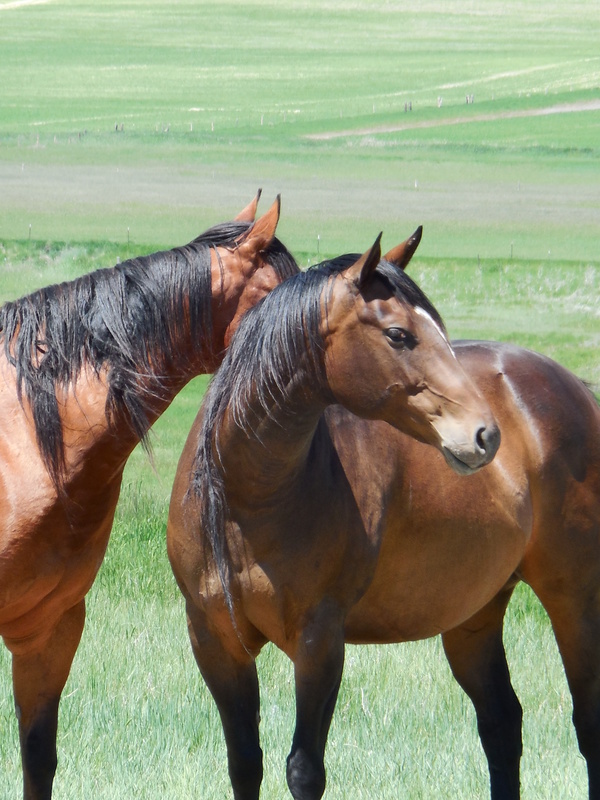 The slick black hair of their manes hung tangled and long, matted ropes looking like those of the wild horses left to run free in the Pryor’s, while their tails, unpulled, unthinned, swept close to the ground. I doubted they would see a brush again. A round patch of dirt under their feet puffed up little poofs of dust as they moved, an oblong circle showing they’d found the highest point in the pasture and used it to catch the summer breeze. As they swung around, the clear white lines of Wilmer and Nora’s brand shone bright on the dun’s right hip. W Bar N. The universal mark of ownership, used on every head of livestock on their ranch. The sheep. The cattle. The horses. Preventing loss from stealing, and identification if an animal strayed onto other range. I glanced back to see the dun lift his head and lay his chin across the back of the bay. For long minutes they stood there, relaxed and unmoving. 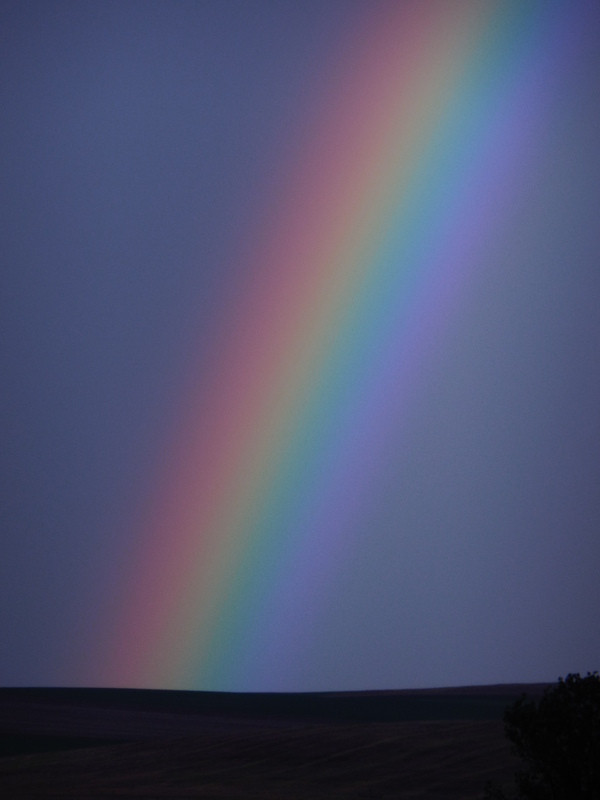 Supporting the other, while the meadowlarks flitted and the wind gently blew around them. Just as Wilmer and Nora had done. Building their ranch. Working, playing, helping neighbors and relatives, strangers and friends. Leaning on each other while the rest of the world went by. Together. I plopped the hamburger into the bowl, reached for the catchup in the frig and poured it over the top. Two eggs, briskly stirred, a handful of crackers crunched into bits, one onion diced small, salt, pepper, a toss of spice and I mixed it all together, readying for the pan, while singing beneath my breath, a song with a cadence that almost brought my feet to dancing across the kitchen floor. Suddenly I stopped, the spoon halted in my hand. It had been years since I’d thought of that song, and here I was singing it on a cold winter day. 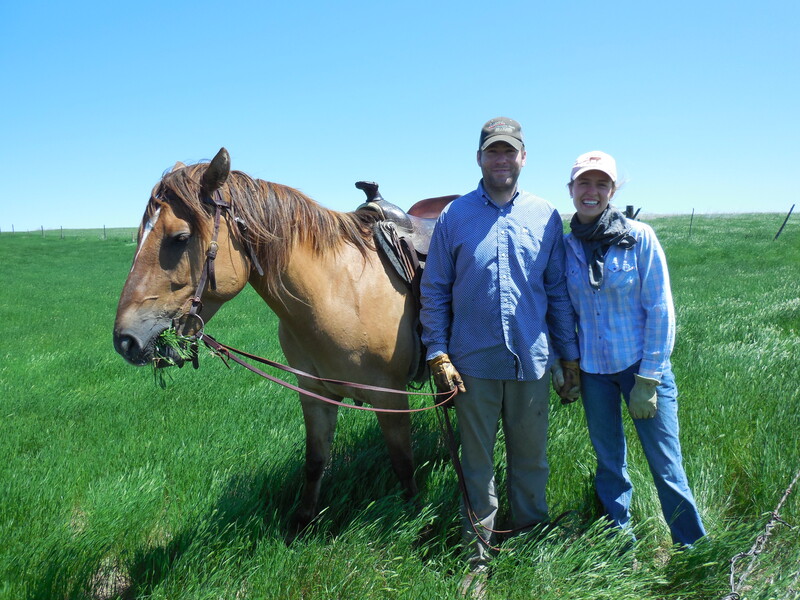 The thud of horse’s hooves drifted past me, our little pinto Patches, ears laid back as he swung into the turns of the dry creek bed on Grandpa’s ranch, galloping madly as I clung to his bare back, one hand twisted in his mane, screaming like a wild Indian. That ten year old was gone, but the love for my state had if anything, grown. 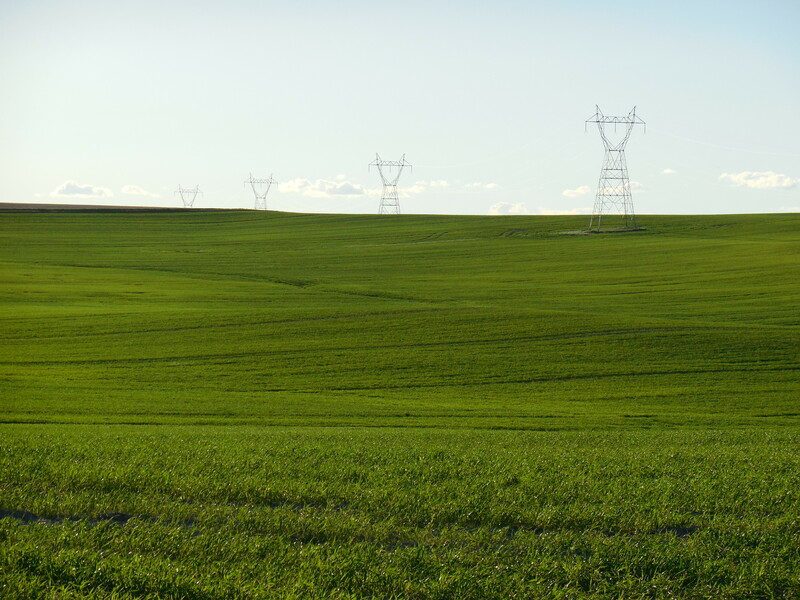 Trips to other parts of the country allowed me to see how different our land really was, the rolling plains that grew grasses for livestock and acres of fields of grain. The foothills covered with evergreens, rising before a promise of more beauty to come, the stately and rugged peaks of our namesake, the shining mountains, which formed the backbone of the Rockies. 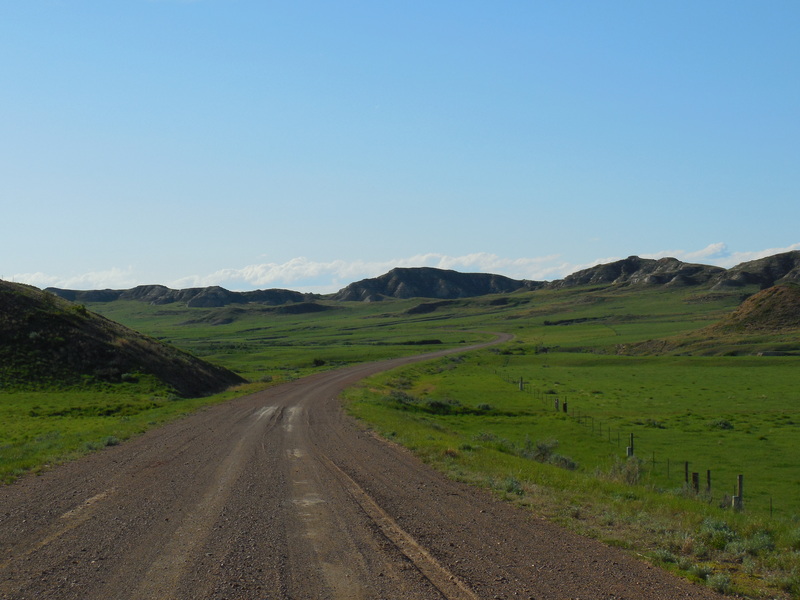 More than once as we drove back across the state line, I was struck by the immediate presence of her, whether coming through Marias Pass or into the badlands near Glendive, she made you straighten your spine and take a deep breath. Respect. Feel smaller. Expand. Lift up your spirit. And realize that it was true, the sky really is bigger. Higher. Wider. More than your arms can enfold.